The Mississippi Civil Rights Museum was due to open its doors in December 2017. ** years in the making, it was being constructed alongside the Museum of Mississippi History, to house the stories of the Mississippi civil rights movement and highlight the strength and sacrifices of the people of Mississippi and their quest for equal treatment under the law. There was however limited awareness of the Mississippi Civil Rights Museum, confusion around the opening and concerns about the accuracy of the presentation of Mississippi’s history. 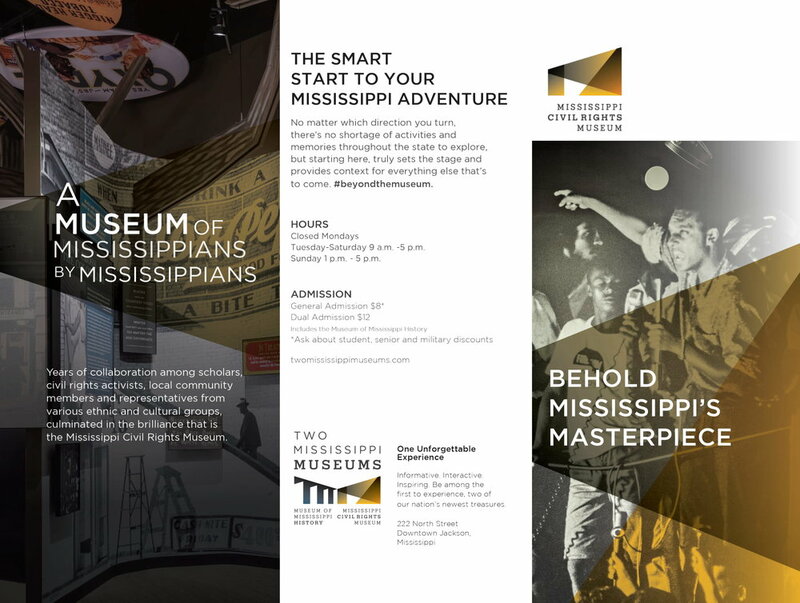 We were tasked with increasing awareness of, and encouraging attendance to, the Mississippi Civil Rights Museum, in addition to promoting the grand opening celebration event. Consumer focus groups were conducted to determine the public perception of the Mississippi Civil Rights Museum. Those findings were used to develop an integrated marketing plan, which included creative, media, community outreach and influencer marketing strategies. Our campaign highlighted the opportunity for patrons to truly experience the journey of the ordinary people engaged in an extraordinary struggle to make real America’s promise of equal rights for all, through the exploration of interactive exhibits, engaging artifacts, and intriguing first-hand accounts of their stories, showcased throughout the museum. The Mississippi Civil Rights Museum reached 55% of their annual goal for number of visitors within the first two months of opening.